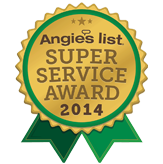 pleased with the experienced, professional, and affordable service you receive from Reliable Power Systems. Fill out the form or give us a call to get a FREE in-home, no-obligation estimate on generator installation. Our experts will find the ideal system for you!